Trevor -- First off, Sean, I wanted to tell you, Nick, and Mike thanks for the heads up on the letters page of the recent X-Men (2nd series) #173. Trevor -- I remember when Rogue joined the X-Men it was a time of turmoil for her, why in Milligan’s run is she being so “bitchy” when it comes to Mystique joining the team? Sean -- Well, I think the main reason she is being so “bitchy” is mainly because she thinks Mystique and Gambit, “got it on” so to speak. I definitely think that if Mystique had just showed up at the mansion, asking to join in a time of need, Rogue would have been cooler about it. But you know how women are, they’re bound to get upset when their mother figure from their past comes to where they live, pretending to be someone else and tries to seduce their boyfriend. I don’t know must be a hormone thing. Trevor -- Speaking of Rogue, she now has Sunfire’s power what looks to be permanently. Is it permanent? Also will we ever get to see the persona switch between Sunfire and Rogue like we did with Carol Danvers and Rogue? 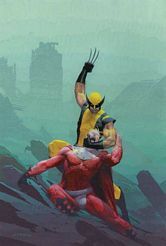 Trevor -- Post-HoM, will we get to see team members from other books intermingling with one another or will it strictly be a “team book” with other title members rarely showing (Except the occasional Wolverine appearance of course)? 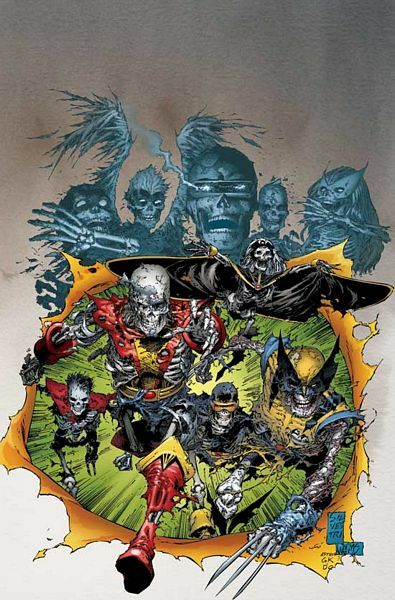 Sean -- The specific teams are still going to stay the focus of their books, but Post-HoM will be a tough time for the X-Men, and they’re all going to have to pull together. So we will see some more intermingling between the teams. And especially with Astonishing X-Men taking a (short!) break, those characters are going to have to go somewhere. Trevor -- With Mystique being brought into the X-Men’s home can we expect a reappearance of Banshee to settle their feud over both Moira’s death and his near death at Mystique’s hands? Sean -- Ah Banshee. I can’t speak on what he will do about Mystique, but if you want Banshee, look no further than X-Men: Deadly Genesis coming out this November. Ed Brubaker and Trevor Hairsine have a story that will blow you away and it’s got Banshee all over the place. Watch for it! Trevor -- Austen tried to kill the love between Havok and Polaris, why stir that fire once more? Sean -- Why not?! But honestly, Mike and Pete I guess had talked about doing this. Some loves just have a hard time dying. But rest assured, this isn’t going to be an easy reconciliation. Very hard times are coming for these two. Trevor -- Will the love triangle that Milligan has created between them and Bobby be prominent in the X-Men series or can we expect to only see bits and pieces of it play out for the foreseeable future? 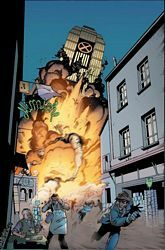 Sean -- The Polaris/Iceman/Havok storyline comes to a huge climax a couple of issues after House of M. I can’t say much, but even I was shocked when I heard about it.